Tyranna Resources Limited, formerly IronClad Mining Limited, is a resources and exploration company. The Company is engaged in mineral exploration and project development. 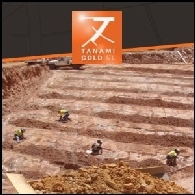 It is primarily focused on exploration of gold, nickel and copper-zinc-silver in South Australia. 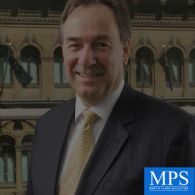 In this issue: Asian demand for gold is still determining gold price, while the US$ gold testing 2011 downtrend, and the latest Martin Place Securities (MPS) portfolio and gold sector universe. Read this latest Dawes Points to better understand investing in the resources sector. Australian Market Report of September 2, 2010 includes; Empire Resources (ASX:ERL) enters into an option agreement with La Mancha Resources, Tanami Gold NL (ASX:TAM) reported further high grade results from its Central Tanami Project, the signing of a Native Title Mining Agreement for development of IronClad Mining&apos;s (ASX:IFE) Wilcherry Hill iron ore project and HealthLinx Limited (ASX:HTX) has finalised research agreements to begin the 220 patient study required for South Korea Food and Drug Administration (KFDA). The Australian shares edged higher on the first trading day of 2010. Energy stocks surged amid expectations the oil price will continue to rise this year. At the close, the benchmark S&P/ASX200 index advanced 5.7 points, or 0.1 per cent, at 4876.3 points, while the broader All Ordinaries index gained 7.1 points, or 0.1 per cent, to 4889.8. Ironclad Mining Limited (ASX: IFE) - December 2007 Quarterly Report - Mr Ken Hellsten, MD; Ironclad Mining Limited (ASX: IFE) present the following audio webcast regarding "IFE - December 2007 Quarterly Report - Mr Ken Hellsten, MD". You may also download this audio webcast to your computer or portable audio player. Ironclad Mining Limited (ASX: IFE) - 2007 Annual General Meeting MD&apos;s Address - Mr Ken Hellsten, MD; Ironclad Mining Limited (ASX: IFE) present the following audio webcast regarding "2007 Annual General Meeting MD&apos;s Address". You may also download this audio webcast to your computer or portable audio player. Ironclad Mining Limited (ASX: IFE) - National Investor - Sydney Presentation - Mr Ken Hellsten, MD; Ironclad Mining Limited (ASX: IFE) present the following audio webcast regarding "National Investor - Sydney Presentation". Ironclad Mining Limited (ASX: IFE) - Wilcherrry Hill Drilling Update - Mr Ken Hellsten, MD; Ironclad Mining Limited (ASX: IFE) present the following audio webcast regarding "Wilcherrry Hill Drilling Update". You may also download this audio webcast to your computer or portable audio player. Ironclad Mining Limited (ASX: IFE) - Strengthens Exec. Team with Experienced Project Manager - Mr Ken Hellsten, MD; Ironclad Mining Limited (ASX: IFE) present the following audio webcast regarding "Strengthens Exec. Team with Experienced Project Manager". You may also download this audio webcast to your computer or portable audio player. 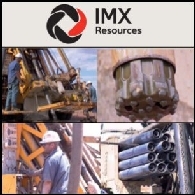 Ironclad Mining Limited (ASX: IFE) - New Float Drilling to Commence in August - Mr Ken Hellsten, MD; Ironclad Mining Limited (ASX: IFE) present the following audio webcast regarding "New Float Drilling to Commence in August". You may also download this audio webcast to your computer or portable audio player.